Pizza Hut in the Odyssey Pavilion. Have you got Google Earth on your computer? If so, then download the Google Earth Map of Pizza Hut Odyssey Pavilion. Is this the wrong position for Pizza Hut Odyssey Pavilion? If you think so, then modify its position. My family dinned in your restaurant in the odyssey today. The gentleman that seated us was a breathe of fresh air - high five for that! When we were in the restaurant there were 3 other tables of family size - working at the time on the floor were approximately 5-6 workers so you would expect brilliant service! Nope! We waited 10 minutes before anyone came to take our order then when our order arrived it was wrong - we had asked for bbq sauce not tomato and extra toppings which where not on - as I said before we are not the complaining type so said nothing. Now am I right in thinking that the 'unlimited' drinks would suggest someone may come to check and see if you need another? Nope! We sat eating our meal for 25 minutes in these 25 minutes not 1 of your 5-6 floor workers came over to see how our meal was going. Meal time over and my husband jus left with the kids as no one was coming to see if we wanted desert - we did by the way! I got up and stood beside our table for 3 minutes with your staff watching me. I ended up lifting our left over pizza and walking over to a group of 3 of them standing chatting - when I asked for a box it was evident this was a hard task to be asked to complete! So after I put my pizza into the box handed to me I walked over to the till to pay for our meal - the 3 previous staff members watching me do so. I stood and waited for another few minutes while they stood talking before one of them came over to service me. Went for son's 11th birthday as a treat- food as per expected, staff customer service terrible. About one third full, most staff (except for chef and one lady) chatting at bar. The restaurant seems to continually receive poor reviews for customer service- these seem well grounded- we won't be back again- a shame as we used to enjoy eating out there often. AVOID. Currently studying Hospitality and Customer service and the staff here are an absolute joke. Took ages for two cokes to arrive whenever it wasn't even busy, when asking to split the bill, we were told this couldn't be done and we were to 'work it out ourselves' then we were stood waiting for fifteen minutes when we finally has. Will completely avoid ever going back. this place is a joke and the staff are nothing but a disgrace to this company. 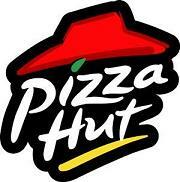 This was our 1st visit to Pizza Hut ever and we not only found it very enjoyable but having been welcomed by our host Adam G who apologised for the wait and subsequently showed us to our seats. We opted for the special buffet which was very enjoyable, hot and good value. Our wine and coke was served by a lovely chatty and pleasant young lady and we were left to enjoy our food with ease. We will defiantly be back. Keep up the great work. I went to Pizza Hut in the odyssey last weekend with some friends before a night out. It was the worst dining experience of my life; the staff were abysmal, they took forever to take our orders and bring us drinks. They then neglected to bring one of our party his starter before brining the rest of us our main meal halfway through the starter. Although the menu says free refills (when you buy a ludicrously overpriced drink) we were not offered refills at any point nor did any staff member come near enough for us to request them. Finally we waited at least 10 minutes for our plates to be cleared and then they managed to overcharge us on the bill! I would normally say 'you get what you pay for' but the food wasnt even that cheap! I will never set foot in this place again. Awful. I think this is a place to go to! It has great service and the food is well cooked! The only downside is that when you're ready to order your food, it does take quite a while. All of the waiters and waitresses that we have had are excellent, and no, I didn't have to wait a long time to pay the bill. That place is really good! Will never be back to Pizza Hut in the Odyssey again. The staff's Customer service and manners are awful they just stood around talking and laughing to each other when even a Blind person could see that customers needed attended too .The place when you looked around was disgusting food lying all over the floor and dirty tables @ one stage we were going to leave only the kids got upset . When i complained they didnt even apologise .Its a wonder the place is still open doing business. Poor customer service, dirty tables and narky staff. Have had a poor experience there a couple of times adn will not be going back. Initially thought it was a one off but the Odyssey Pizza Hut is unfortunately poor all round on a consistant basis.